ZENC: The Zen of Color — Welcome to the GameSalad forum! 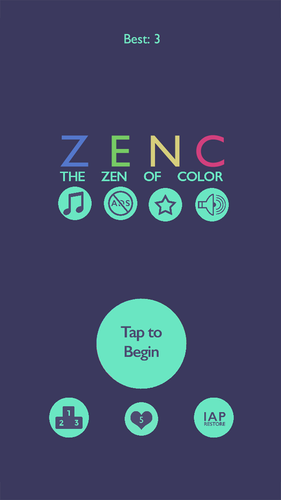 ZENC is a simple color matching game. The objective is simply to press the button which corresponds to the falling color ball. The longer you go, the faster they fall.